Doo do-doo doo doo doo doo doo dooooo doooooooooooooo…. 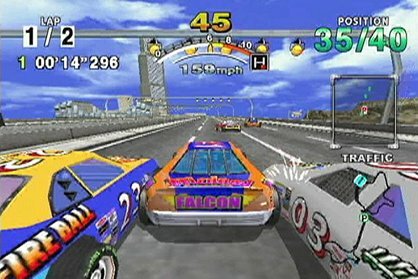 DAYTONAAAAAAAAA! If you visited arcades in the late 90s or early 2000s, you couldn’t help but notice the enormous quantities of racing games arriving, mainly “front of house”. 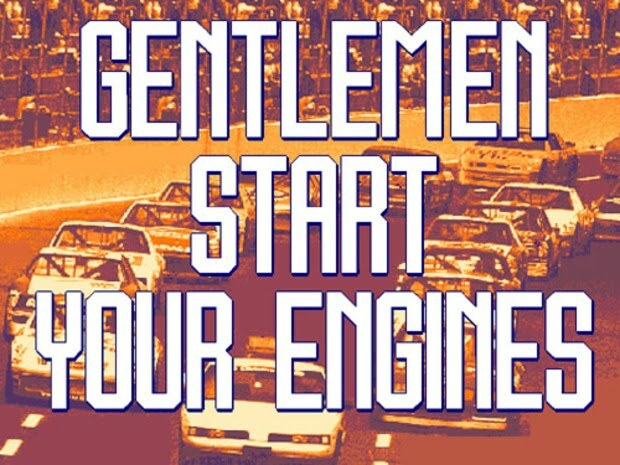 You couldn’t go by without coming across a Manx TT, Sega Rally or a Daytona USA, and many arcades involved themselves in a “willy-waving” contest by trying to have the biggest Daytona USA setup they could. 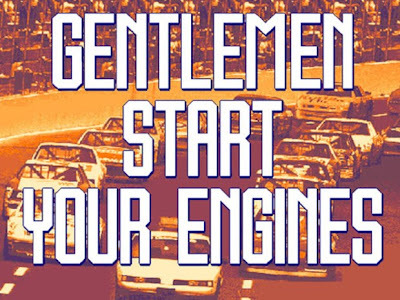 Yep, this was a racing game with the potential to daisy chain together several units, as well as other optional extras. I recall visiting Newquay and the excellent Carousel amusements on 3 consecutive years to find they’d added another 2 Daytona seats each time… However the top prize had to go to Mr B’s in Blackpool, with a 4-player setup with the addition of cameras pointing into each players’ face and a big screen over the top showing the race along with the faces of the competitors. At a standard rate of £1 a race (and often a race consisted of 8 laps of less than 20 seconds each), this game was unsurprisingly the highest grossing arcade machine of all time. People rarely ventured from the Easy level (777 Speedway, basically a big oval with long sweeping curves), as the other tracks were far more difficult, and not suited to multiplayer so much. 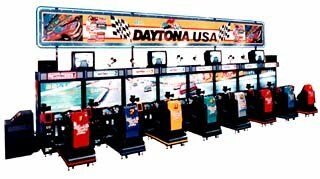 The big puller was the graphics, they did look amazingly realistic, but most arcades had the volume turned up too. This was a bonus as the music really was superb, from the theme tune (see the start of this review) to the familiar war cry of “ROLLING STAAAAAAAART!”, the music is so good I have the soundtrack in the car for long distance driving. As far as longevity goes, this game really doesn’t have any. There’s only 3 tracks, and whilst there’s plenty multiplayer fun to be had, Single player gameplay is decidedly limited. So, was bringing the game to the home console market a good idea? Well, the Saturn versions (yes, there was two of them) didn’t quite cut it visually, plagued with clipping, pop-up and a lower frame rate. Gameplay wise, they weren’t so bad, the action was still fast and handled very much like the Arcade Original. But was one player racing any good? Not really, especially with a title like Sega Rally around (which was REALLY good). Even in Endurance mode, trying to squeeze playability out of the game without getting repetitive was an impossible task. 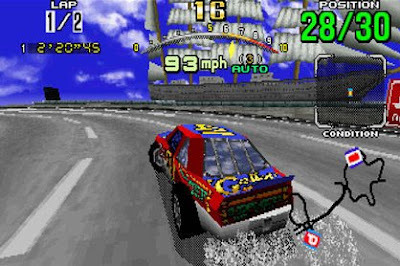 During this era, driving games suddenly improved, but got much smaller and shorter. Prior to this, driving games at home boasted huge numbers of tracks, or at least that was the primary selling point. For example, Network Q RAC Rally came out with around 30 tracks available. 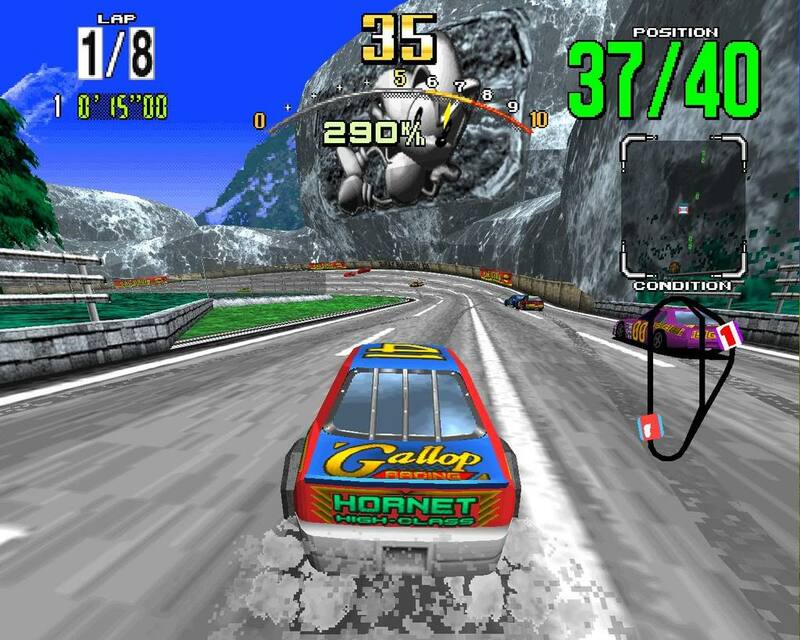 All of a sudden racing games were cut to 3 or 4 tracks but vastly improved physics and graphics. Fine for the arcades and the quick, sharp burst of fun, but not so good for a game you’re expected to pay £30 or more for at home where most play is by yourself. Until the advent of online gaming, this kind of racer signified to me both the high point of arcade racing experiences, and the low point of the home racing experience. 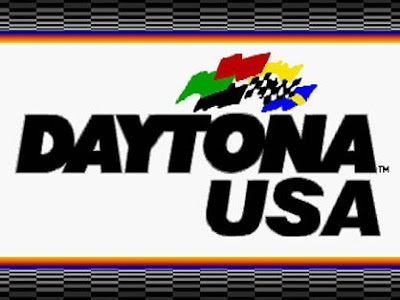 Daytona’s success will guarantee its deserved place in the annals of history, tarnished only by comparatively poor home versions. What I do hope will live forever is the awesome music.